Sunderman Spotlight: Isaac Hawkins | The Gettysburgian. Q: What is your instrument? Q: What has been the most important part of your conservatory experience? A: The most important part of my experience has been getting to know the people. I have always thought that the Sunderman Conservatory is not about the building, but about the people. I have benefited enormously from getting to know and work closely with my professors and peers and learning from everyone I have met over the past three years. Q: How has your time here influenced your projected career in music? A: The music education program has opened my eyes to more options in the field of music education. I don’t feel as pigeon holed as I did when I first came in. My methods classes, like Elementary methods, have given me the abilities to teach a wide variety of areas, not just high school band. I can say that with some work I think I would be able to teach something out of my specialization like elementary strings. And in my student teaching placement I am going to be given even more exposure to the many different areas of music education. The Bachelor of Music Education degree is a comprehensive degree program that has prepared me for whatever comes my way. A: I plan to teach music. Q: Tell me about your recital. A: I am playing a variety of pieces that don’t necessarily fall into a specific category other than “Music that I love.” I wanted to make sure that I loved every moment of every piece that I am playing, because I believe that if I love it, I will give the audience a great performance. My goal is to have an enjoyable performance. I will be playing Astor Piazzolla Etudes 1 & 3 (originally for violin or flute), Camille Saint-Saens Clarinet Sonata Op. 167, Darius Milhaud’s Scaramouche (for alto saxophone and orchestra), and Conradin Kreutzer’s In Yonder Valley. I like all of these pieces for different reasons. The Milhaud is an incredible closer, while the Sonata is absolutely beautiful. Each of these pieces is perfect for their own role in the program. Q: What is your advice for future conservatory students? Q: Listen to every single moment of music on your recital before handing in your proposal. 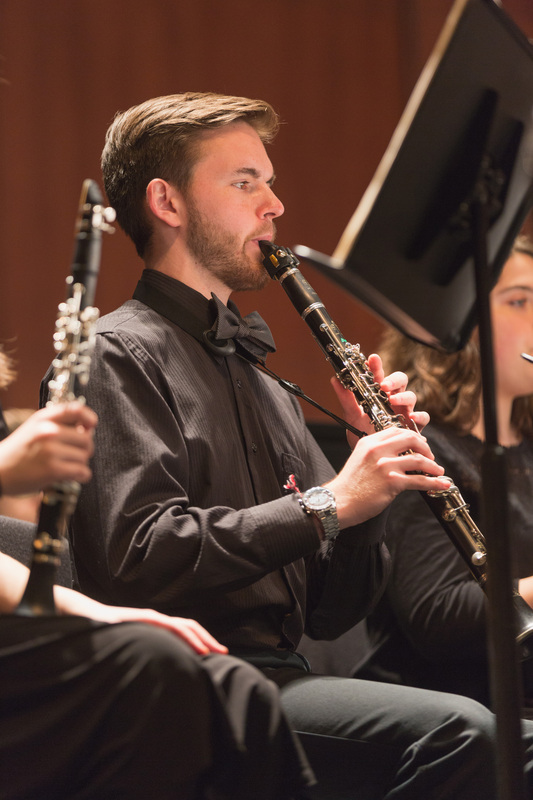 Isaac’s senior recital is on November 18 at 8:30pm in Paul Recital Hall, Schmucker Hall.